Utilizing our custom stenciling services is a great opportunity for branding your business. This gives your business the opportunity to make your parking lot, parking garage or building your own. Our custom stenciling lets our clients add their logo or cool new designs to their parking lots. If you have had a great design idea to make you parking lot or parking garage stand out we can make it come to life. On top of customizing your property we can also handle any type of unique markings you may need. 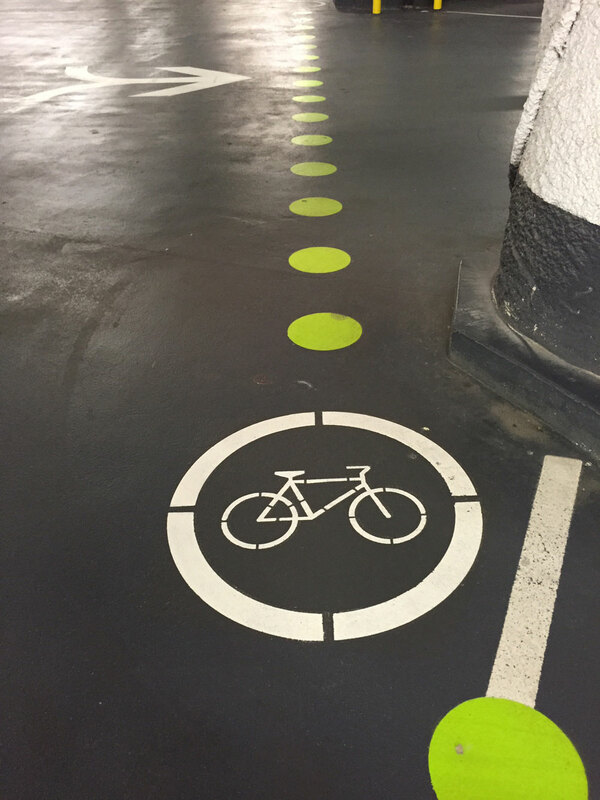 If you have special parking spots to label, special lanes to mark out, or different sections to identify we can help. Any kind of custom stenciling your property may need we can make it look great. At EverLine we have some of the most experienced custom stencil painters in Calgary. Our custom stencil crews have painted a wide range of design requests and have seen it all. No matter the design, size or surface our custom stencil crews can provide a perfect end result. On top of our unmatched experience we also only use the most durable products for our custom stenciling projects. We want to ensure that not only does your stencil project looks great but that it will also last a very long time. We understand just how detailed custom stenciling jobs are and require stenciling crews capable of delivering absolutely perfect results. This is why we put all of our custom stenciling painters through extensive training programs. We don’t feel comfortable deploying a crew that cannot provide the exact design you are looking for. This is why we only use crews that have been extensively trained and can deliver high quality end results. To help our custom stenciling crews perform their services effectively and efficiently please perform a few tasks before we arrive. Please ensure all obstacles and vehicles are removed from where the stenciling will be applied. Also please make sure any surface a stencil is going to be applied to has been cleaned.